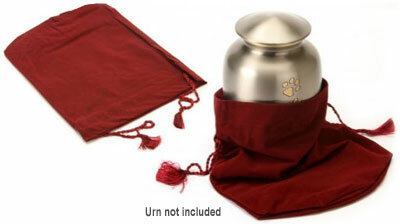 Chertsey Pewter are a range of beautiful classic pet cremation urns for your dog's cremation ashes. 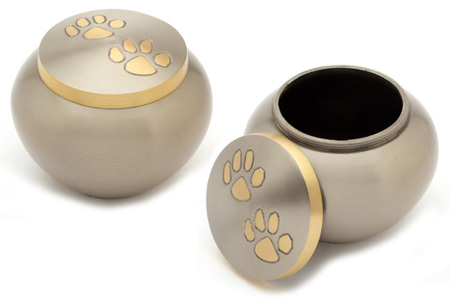 High quality solid brass pet cremation urns, hand casted and intricately hand designed by skilled artisans. 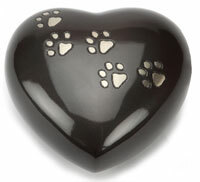 Finished in pewter with a brass two paw print design. Your pet's ashes can be safely placed in the urn via a threaded secure lid. Responsive seller, emailed me back very quickly when I had a query. 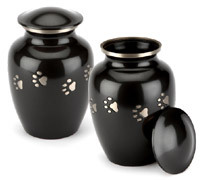 Lovely quality urn, beautiful to look at. My beloved dog now rests in it beside my bed. Highly recommend. Beautiful final resting place for a greatly loved member of the family.